Do you work for Snagit? Learning and Video Ambassador, Video Creator, Instructional Design, Speaker, Creative Creator. "Everybody in my department has the software and is constantly using it"
"Snagit, he prints moments of your screen"
I do not like that the tool sometimes has an imbalance in the captures, since sometimes it stops responding the same. Therefore, if you do not start the tool with both Snagit editor and capture tools, it stops working in its entirety. I do not like that it has the control of taking shots without previous desicion, and that each version brings its tools, while more innovated it is, it brings more tools of edition. "the true photography of the cybernetics"
"Best screen capture and basic editing program for beginners"
Snagit is incredibly user-friendly. Every basic tool is within reach and makes editing images really easy. Recent images are displayed in a tray at the bottom of the screen, which makes copying and pasting between images a cinch. The ability to crop out white space to adjust images for print is great. The ability to take timed shots is so important for capturing software interfaces. This software is great for the novice user and has some more advanced features for those who are comfortable doing more. My office uses this all the time. I find the scrolling to be a little slow. I'm not sure if there is a way to speed it up. Also, I really think Snagit should consider adding in gridlines or guides so you can snap elements to reference point. That would make my work so much easier. And Snagit does not have editable layers. This is not the end of the world, but it would make certain complex edits easier if they existed. This software is definitely a great productivity tool. I would definitely recommend giving Snagit a trial run. The developers do poll the user community as they plan for new features. So you do have input on what the future of Snagit will look like. For my office, at least, Snagit it provides a quick and easy way for departments to show how the software is behaving. Developers and QA document the expected behavior of software screens and how features are supposed to work. This is immensely helpful for me as a technical writer as I try to explain it to the user. "Great for all kinds of screenshots"
I love the editor! There is so much I can do with my screenshots in the editor without having to move them into another app (like Photoshop). The UI works really well for my use. I love having the tray of recent captures underneath my current canvas, where I can drag and drop captures onto the working canvas. I use the keyboard shortcut to start a capture several times a day, love having that option. The scrolling capture function more often than not does not work for me, and I'm not sure why. It doesn't give an error message, just outputs a screen capture of a single screen instead of the whole scroll even if I've selected scrolling capture. Also they seem to have gotten rid of the precision capture feature (not sure what it was called, but it would show you a little zoomed-in inset of the corner of your capture so you could get it right to the exact pixel). I use it a lot when reviewing design/layouts, to take a quick snap and mark up the image rather than try and describe it in words. Huge time saver. Business aside, I also use it pretty heavily for personal projects too - I will take screenshots of various light fixtures for instance, and drag them onto a picture of my living room, to see what they would look like before making a purchase. 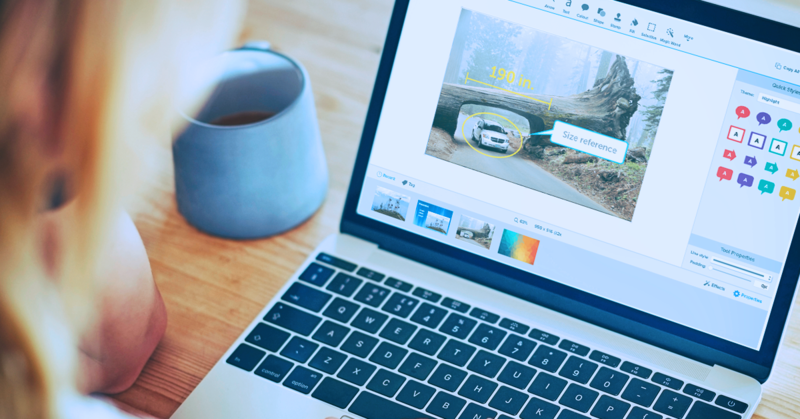 "Everything you want it to do and more..."
Snagit let's me make significant edits and improvements to images and documents with complete and total ease. The best part is the super easy to use interface. Snagit was designed with the user in mind. It's very easy to find what you need, even if you're not technologically inclined. I also love the ability to add annotations, call outs, and shapes. I also love how precise you can get with your screenshots using the cross hairs. I also love that Snagit has a library that allows you to search past screenshots. There is really not much I don't like. I was running an older version (10 I believe), which was lacking a lot of the features that version 13 and beyond had. I guess if I had to pick something that some of the newer versions don't have is the ability to layer and more easily move elements around...but once you do that, you're starting to really encroach on Photoshop's turf! Get Snagit...you will not be disappointed. It's extremely affordable and you get a HUGE bang for your buck compared to similar software and freeware. 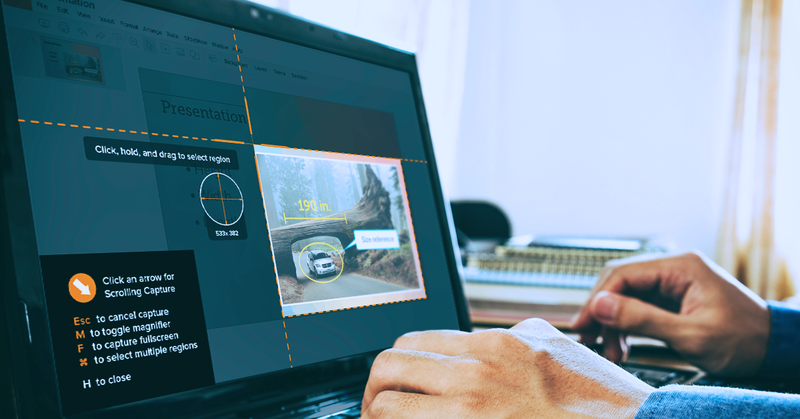 As an instructional designer, Snagit lets me make quick edits to screenshots and images without having to mess with Photoshop. Photoshop is great, but it can be a little clunky and time consuming to make quick edits, especially when prototyping. I use Snagit the most to anonymize documents. It's super easy to delete names, dates, and other personal information off screenshots and replace them with fake data. I've also used Snagit to reduce the size of images. Snagit is also very helpful when creating job aids with their step markers, magnify & blur features and call out arrows and boxes. "Snagiit - Can't live without it"
Ease of use, has everything I need to make educational materials and how to guides. I am really looking forward to being able to search through stamps in the next version. Great to be able to take multiple screenshots and then be able to create one image with them within Snagit. Hard to sort/filter the options within each category. There are a lot of stamps for example which is great, but can take awhile to find the one I want. Would really like to be able to cut out around the shapes, not just a circle or square cut out. I want to be able to pull out specific areas of a screen shot , would be nice to have a snap to tool, that would find a particular shape. Use for all of my educational materials, how to guides, new development designs, mock-ups. This makes it very easy for the users who will be building my design, to quickly see what my vision is. Great when I am observing an end user and see an error message to grab it. I can then have them re-create their steps and get additional screenshots along the way. This will show all of the steps and can be used by our technical support staff, to a)recreate the workflow b) troubleshoot the issue. c)determine if this is an end user issue/incorrect workflow OR if there is indeed a technical issue. Snag It is a Great Utility..
"Snag It is a Great Utility"
The old version allowed me to scroll capture easily, but I don't see where I can utilize this function anymore It used to be possible, now the picture stops in the viewing window. That is being a little picky, because it's great like it is now. "This screen capturing software has made my life so much easier"
It's really flexible in the areas you can record, how you capture the screen, has a lot of options to make sure you get the recording just the way you want it, and the built-in editor is a huge time saver. It also has a lot of formats you can save to, and a ton of sharing options. There are times that the editor will just...not work. It may be due to my heavy usage of the software, or local storage issues, but it's a real bummer after I take the time to carefully plan and execute a recording, just to have it vanish. I really have not found a more useful tool to use in my daily work. I 100% recommend at least going through the free trial - you've got nothing to use. I bought the software and it's worth every penny. I use it every single day. I need screenshots for a ton of reasons - I write internal technical documentation for my company, have to record sessions for bug reporting, constantly need to snap images for software mockups, and send tutorials to my end users. This software takes care of all of my screen recording needs without having to bounce between software, or spend too much time editing images, and has WAAAAYYY more functionality than build in screencapturing or freebie software. "Record your screen to make tutorial videos"
SnagIt is an easy to use tool to record screen capture videos, perfect for tutorials and working with clients. I use it for all of my screen captures for tutorial videos for Youtube, Facebook, my online courses, and client coaching videos. TechSmiths tech support is very responsive and helpful. Sometimes SnagIt needs an update and it can be cumbersome to sign back in and update. Also, you have to pay each year to renew the license. Sometimes, there is a sync issue with the audio and video when I import it into Adobe Premiere Pro. If you need a high quality screen capture tool video, Snagit can do it! I'm on a Windows computer and it has been difficult to find a video screen capture software for Windows. I found SnagIt after using one of TechSmith's other tools to create videos from PowerPoint slides. I've been a user for at least 9 years. "Good solution for the casual graphics artist"
I like that it allows not just the capture of images (screen or a selected area) but allows the user to do some light editing of the image which means I don't have to rely on our creative designer for each and everything. It's also pretty intuitive and required minimal training to be productive. I can also save the image in a variety of different formats and sizes. Some of the image edition capabilities are limited in capabilities. One of the features, I would like is to turn an image into a black and white image. Snagit does weird things in this case. I have been a user for several years and as a marketer feel that I can do my job more successfully as a result of Snagit. I use it daily. 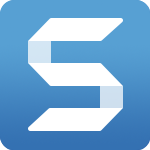 Snagit is great for screen captures and icon/image editing for the casual user that does not need in depth-creative abilities. It is much more intuitive than Illustrator or InDesign and other creative tools. "Snagit - Quick and easy screen capture and image editing"
The panoramic screen capture capability and the simple image cleanup/editing features are great. One of my colleagues uses the video capture capability and likes it very much. Finally, the price is very reasonable. I have not yet encountered anything in Snagit that I do not like. There is always a feature here or there that can be added to any app, but Snagit has the features I need. If you want Photoshop-level editing capabilities for your screenshots, then use Photoshop. Snagit is the quick and easy alternative for all of us non-Graphic Designers - especially for the price. Allows me to capture web and app images that are larger than the window/screen. Very helpful in our online purchasing processes. Although Preview in macOS does a decent job of simple image cleanup/editing, Snagit offers more capabilities while remaining simple to use. Some of our internal systems have very low limits on attachment file sizes, so Snagit helps me get the images I need to attach down to a manageable file size. "Best and powerful Screen Recording/Capture Tool"
Snagit is best and powerful screen capture and recording tool with audio recording as well. It has many features like Grab Text, smart move, Text replace in latest version, Magnify, annotate, add animation etc. It has one more great feature to take a full page screenshot with scrolling to bottom of the document/web page. There is nothing to dislike for Snagit, once you start using it you will definitely love it and enjoy using the tool. The only matter is a matter of Cost for licence. There should be a basic version available for personal use with limited features. If you are looking for a Snipping tool for your business which is easy to use and provide all such features snagit is best to buy and I am sure it suite all company needs. Nothing more I can say about it rather just enjoying the Snag it. Snagit is very useful when it comes to a documentation parts for a business. Imagine you are creating a reference guide for any product and you know you will required screenshot of each an every page with multiple annotations. Some times you also required to be create a demo for User Acceptance Testing (UAT) for your company product or personal reason, Snagit gives all such functionality which can complete all your need for business purpose. It has been very helpful while you are in meetings and you want to record someone's presentation or need to capture all required screens. "Quick and easy to capture screens and elements on your screen"
I like Snag-It's ability to capture screens and just about any element on your screen. Once you have the image captured, Snag-It has a lot of editing features you can use to modify an image, such as blurring personal data shown on the image, drawing tools used to add lines, and so much more. The scrolling capture feature is a good feature, however it's not always easy to make it work properly, however when it works, it's great to have an image that was larger than your screen, and saves the time it would take to capture many images and paste them together to make one image. For what it cost and the features it provides, I would buy it. I have been using Snag-It for at least 20 years, back in the day when it was free. I use it to capture screens, and blur personal data so I can real-life screens in my documentation. I also use Snag-It's finite ability to capture small icons and other screen elements to use in my documentation. "Best screenshot app I've ever used"
A great array of tools and effects, including text detection! Makes sharing across all my tools incredibly easy. Would like more control over how images are stored and saved - e.g., doing a Save As so I can name the image and upload to my DAM creates a duplicate image to the one in the Snagit library. I'd rather just have the named file which can be referenced by Snagit. Snagit has a diverse feature set - it's much more powerful than tools like Jing, Monosnap, or CloudApp (which I also like) - so if you need something more than those apps but less than photoshop, Snagit is an excellent choice. Creating a catalog of app screenshots to use in our knowledge base, and for use across our content team (to ensure consistent image size, quality, annotation style, etc). Snagit does high-quality images, with very easy to use editing options. 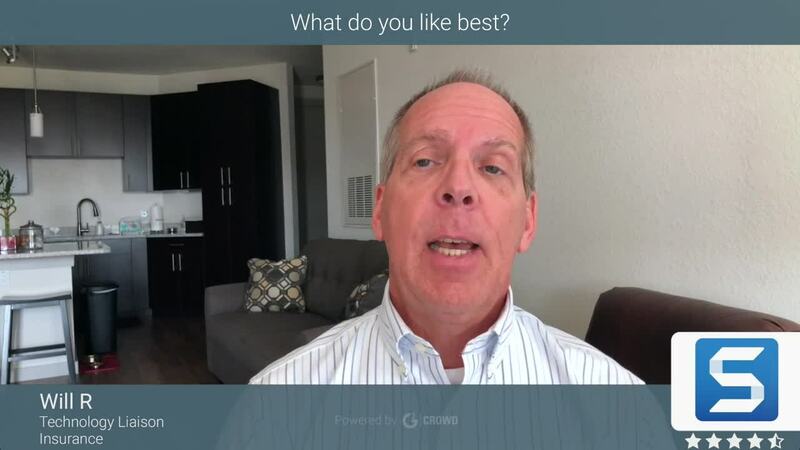 I can also send images and captured videos directly to Camtasia, which we use for creating training and how-to videos for our users. "Efficient & Functional Content Capturing"
I like the simple ability to add text and arrows onto captured content. It is a quick way to modify and spruce up content before sharing, and more efficient than any other software. I also appreciate that previous captures are saved in the snagit editor, which allows me to copy and paste text or designs from other screenshots. Adding the potential to possibly share images directly to social media platforms would increase work flow and minimize the second step of sharing images. I would recommend trying out the different capture settings. Different people will prefer different ways to capture, whether using the "all-in-one", "Image", or "video." It allows me to add text to graphics from other softwares and locations more quickly before sharing them online. It is the most streamlined way to get from a screen capture to the web, using only one application to capture, edit, and export the image. "How Snagit helps with Customer Service Operations"
SnagIt integrates well with our company and my team. The fact that you can setup hotkeys makes it feel like the software is everywhere you need it to be. There really isn't anything that I dislike,. If you run a CS team where you interact by email, provide training, produce webinars and create videos, then you need to use Snagit. When capturing a picutre, you can add a bunch of modifications to the image. For example, i want a client to look at a screen and be able to know where to go. I can add on the screenshot some arrows, and some number sequences and even add a comment box. I can change the colors of all these items to brand it with our company colors. In a video, i can easily re-watch the video that i took, pause it, esily cut out a part that i no longer want to keep in the video and carry on. The tutorials that they give on new version and small updates and features that you haven't used are really clear and well done. With the ability to take screenshots with snagit, we can provide them in our emails back to our clients to help improve our documented procedures. Using the video ability along with screencast helps us make quick videos for our clients and saves us from having to phone them. These benefits alone are worth paying for the SnagIt software. "Brilliant tool for taking and annotating screenshots, and videos"
I love the fact that you can continue taking screenshot after screenshot, without losing what you're working on, by using the hotkeys. It's very easy to add text to images, and blur details you want to hide. The cropping is simple, and you can crop different shapes, depending on the image. For video recording, you can set a timer which means you can prep the screen in readiness for the recording to begin. There is nothing I dislike about this product! I have been using it for years, with multiple organisations, and it has been fantastic. I am really struggling to think of anything that I dislike! I use it for everything from sending screenshots to customers, to producing technical documentation about our products. It works well for just taking a quick screengrab to put in an email, to editing an image for a make it suitable to include in a formal spec document. I keep Snagit running in the background on my laptop all day, and use my selected hotkey to take a quick screenshot whenever I need it. The best feature of Snagit is that it automatically selects portions of the screen to capture based on its interpretation of the screen's contents. For example, if you have Outlook open, you can move your cursor to the contents of a message and Snagit will highlight the portion of the screen containing the contents of the message. Then you just click once to capture that portion. Of course, you can always click and drag to capture a custom portion. The image editing process is very clunky. It is not easy or intuitive to add arrows, text, callouts etc. to a captured image. I find that I need to copy the image to Powerpoint first before doing any useful editing. My company uses Windows software and Lenovo laptops, which have the "Print Screen" keyboard button as the only way to screen capture. That simply captures the full contents of all of your screens and saves it to the clipboard. You then have to copy that into Microsoft Paint to edit and select what you actually wanted to capture. Very time consuming, especially since I have three screens. At least Snagit solves that problem. "Best screen capture product in the market, period!" The image and video capturing capabilities are easy to use yet very powerful. The ability to select a region or a complete screen is advantageous. Video capturing capability is excellent as it provides multiple options for audio selection and file save formats. This software offers the perfect selection of features that can be utilized on a day to day job. The window scrolling feature is a bit tricky. Depending on the browser and the site, the results can vary. This could be due to security features embedded within the sites to prohibit users from taking a screenshot. Its an amazing tool for the price. This product editing features are great for creating Job Aids, proof of concepts or simply providing reference screenshots with added text and arrows to the concern parties. This application allows its user to give a professional looking end product to the client. "Great Marketing Tool: Explainer Videos, Target Audience "Is This You?" Demand Gen...."
Visuals are far more powerful these days than text for attracting the right audience. Snagit lets you focus more on your target audience (EX: their "Is This You?" scenario, and "explainer videos" where you show them exactly how your offering is how their life will be when your product fixes that scenario...) and you spend far less time creating those videos using Snagit. Techsmith created Snagit and their tech support is fantastic. They're creatives too and offer ideas far beyond just fixing any tech support needs you may have. None that I can see right now. The earlier version had a learning curve for me, but they are constantly updating it making it even easier. Compare Snagit with how you're creating client content/presentations now using 2 client groups and you'll be convinced that not only is Snagit a lot easier, but the results(in conversions to sales) are exponentially greater. I needed to add more videos that worked far more effectively than the text-based content, and I didn't want to be locked into a freelancer's multiple iterations. I wanted a DIY that looked just as professional. Snagit was the right answer. "Great Product for Capturing and Editing Screenshots"
I love that Snagit allows you to capture any portion - large or small - of your screen. My favorite feature has to be the editing capabilities. After you take a screenshot, Snagit opens the captured image and allows you to work with the image in so many different ways. Whether you want to resize the screenshot, save it as a different image type or add text or pictures, you can do it all with Snagit. I dislike how the scrolling screenshots appear - they are never clear for me! When attempting to capture a scrolling screenshot - which would be a great feature of Snagit (if it worked), the image is almost always distorted. No matter how many attempts I make, Snagit never has given me a quality scrolling screenshot. I highly recommend Snagit for quality screenshots and for an easy, user friendly way to edit the image after it is captured. It offers a great help section that points out all Snagit's capabilities and features. Snagit allows me to use one program to do what used to take several programs, saving time and money. I can now capture exactly what I want to off of my screen - without having to capture the whole screen, open it in another program and edit the image down to what I want. Even better, the fact that I'm able to work with and edit the screenshot directly from the Snagit program makes it such a time saver! "Perfect tool for trouble shooting and QA"
The product is so versatile for screenshots, video screenshots, and error recording. I use the product mostly to report issues back to the development team as they happened, which DRASTICALLY improves repair and hotfix times. I do wish I could attach information to the Snagit, like a date-time stamp or an internet connectivity status as I was capturing. Snagit can really make a difference between your QA team and the development team. Often these teams struggle to find the words to accurately explain how they made an issue happen or how they found it, but with a video recording it can change the game of QA. I use the product mostly to report issues back to the development team as they happened, which DRASTICALLY improves repair and hotfix times. Also, it allows me to replay issues during QA and try and exactly recreate them, which can help distinguish between a single computer issue and a product issue. "No other product offers the "cut out" option"
One of the greatest advantages of this program is the ability to "cut out" unused space. If a report has too much white space, use the "cut out" option to horizontally or vertically "remove and close up" the unused area. I've manually cropped borders and moved imagery to retain the "look" of a application window, but SnagIt makes that a thing of the past with the "cut out" option. When replacing colors (much easier than in PhotoShop), even if sensitivity is set very high, the system may replace other unrelated colors or pixels within the image. Don't hesitate to purchase. This product is much easier to work with than Adobe Photoshop, and saves much time over MS Paint. I've made our Help documentation more accessible by cropping out white space to make an entire report fit in one screen view, removing the need to scroll to view the entire image. I have used Snagit everyday since I discovered it a few years back because of its convenience and wide variety of features. I like that it has an option to be decked on your anywhere desktop and always be on in the background, allowing for quick and easy screenshots. I also like its variety of editing features, from cropping to adding text and shapes to changing the size of the photo. I even use the Snagit as a photo editor editor to edit pictures, not just for screenshots and it does a great job. I dislike the scrolling capture. I have yet to found an instance where I went to capture a scrolling image or web page and it turned out good. Scrolling screenshots taken with Snagit are visually distorted and I haven't been able to use them in my experience. Snagit is a convenient way to capture any type of screenshot as well as a great way to edit and work with the screenshot or image. It is easy to use and navigate. The "help" section as well as the Snagit website both provide a really good instruction on how to utilize the product. Snagit saves time and money because it is a fast and reliable way to capture anything on my desktop - from websites to documents and emails. Prior to Snagit, I would have to press the print screen button and edit the screen shot - it would take several different programs to capture and edit a screenshot - Snagit allows me to do all of this in one place. "Makes screengrabs a breeze when copious amounts are needed quickly." I love that I can make hot keys so that I easily remember the fastest way to capture an image. I also like that I can point out things that need to be edited when I send my work to our creative artists. I also appreciate the movie feature. That has been great for recording trainings with team members. I also like that I can trim my images if they are not accurate the first time around, and I don't have to be precise when capturing ads of certain sizes. Sometimes Snagit is glitchy and doesn't catch the images fast enough (ie. rotating ads), but a simple refresh of the page usually does the trick. I think there need to be more font choices when adding text to the images. The biggest problem I have is accidentally making text boxes when I haven't switched to the selection tool, but I believe that is user error. This product has increased my job efficiency tremendously. I can trim images that aren't accurate the first time and point out pieces of the images that need updating. I use Snagit about 50 times a day for work, and it's a time-saver and very reliable. For my job, we have to seen screenshots of images for Legal approval, and it exponentially makes the approval process easier. It has also bee helpful with catching mistakes from Art to point out exactly what needs updated. I love how simple and quick it is to use. Yesterday a colleague needed to know about to access some information in a software program we use and we couldn't coordinate for a face-to-face or phone call. So, I opened up snag it and made a two minute video and sent it to him. It saves me a ton of time, because I don't have to spend time typing out detailed instructions, taking screenshots and formatting them and adding arrows. I can make a video once and it can be viewed over and over by anyone who needs it. It is great for all different kinds of learners - especially those who are visual or auditory (like me!). I can save the file on my computer or I can upload it to a ton of different places, like dropbox, camtasia, or my favorite, Google Drive. This is especially great for larger video files that I can't email - I can send a link to the video instead. I also liked the cost. As a self-proclaimed cheapskate and tightwad, this price was great for me. I am not a big fan of the editing features, because I can't figure them out. And I should give a disclaimer that I haven't given much effort to figuring them out and I have absolutely no experience or context for edit a video. Most of what I do is informal, so if it has a small mistake, it isn't a big deal. Also, I did just get a newer version of it with a new UI and I have attempted any editing with the new UI. - then once selected, automatically opens the Snagit Editor with the capture you just took. Working in support, I use screenshots all the time to "show not tell" what I mean to customers. The editing of the images is a bit limited. For example, there isn't even a "black and white" setting. I often take images out of snagit and open them into photoshop... but that is only about 5% of the time. Allowing me to take a screenshot, annotate it, and send it off to a customer in under 5 minutes really helps me from having to go through the process of having to give an extremely detailed description on what they need to do to change a setting or fix an issue they may be having. The only thing that I don't like about SnagIt is the scrolling capture. What would be probably my favorite thing about SnagIt, being able to capture a scrolling image, just doesn't work. Every time I have attempted to capture a scrolling window using SnagIt, it comes out distorted, blurred with objects duplicated. I have never been able to use an scrolling window that I captured using SnagIt because of these issues. I definitely recommend SnagIt because of how easy it makes it to capture shots of your screen. You can even choose to have SnagIt docked to your computer so that it is always running and ready to capture a screenshot with the click of a button. It allows you to edit the screenshots before the capture is finalized. Once you capture a screenshot, you are automatically directed to the SnagIt editor where you can make edits and additions to the photo. It is a great tool with advanced features yet it is easy enough for everyone to use. SnagIt has allowed us to not only to easily capture screenshots but also allows us to make edits to those screenshots in the SnagIt editor. The editor really has some enhanced features like being able to resize and crop images, add text and shapes, adjust colors, etc. We even use SnagIt when we need to edit or enhance regular photos that aren't screenshots - that's how many useful features the SnagIt editor offers. SnagIt makes it super quick and convenient not only to capture screenshots but to make edits and enhance photos. I like the ease of use. It is so easy to launch, copy, and edit the image you want to send. Being able to utilize the annotation tools are also a huge plus. This has greatly impacted the effectiveness of training within our company. I haven't had the opportunity to use the video capture feature just yet, however I can already see tons of uses for this tool. I am also a huge fan of the panoramic screen capture. This feature is so useful! The only thing that I disliked was that it would occasionally crash when I first started using Snagit. However I think there must have been an update because it no longer crashes. I would highly recommend this for your business. Much more functionality than the Snip tool that Windows provides. Snagit has greatly aided in sharing information with clients and co-workers. It is so easy to explain something when you can annotate a screen shot and easily send it in an email. I also use this product to help build training presentations. This has saved so much time in the creation of these presentations and the images that I am embedding in them are so much better than before. I am sure that as I begin to use the video feature that we will begin creating training video clips for our employees as well. I can see Snagit taking our training to the next level. "Snagit - The absolute BEST. " The ability to do more than just create screenshots. The whole software allows you to annotate images with text, arrows, highlighters, stickers, callouts etc... The software also allows you to resize, crop, and create edges on the image. Basically, Snagit can be used like Adobe Photoshop but for documents. There is nothing really to dislike about this software, other than the times it can slow boot time of your computer if the settings allows it to start when Windows starts up. If a picture is a thousand words, what you do with Snagit would be like authoring an epic novel. IMO, this software is very easy to use. Not once did I feel the need to contact tech support. I know Windows comes with a free screenshot tool, called the "Snipping Tool," but Snagit makes your screenshots look more professional and completely "clean." The software is somewhat pricey, but the upgrades are very reasonable. This software solves a lot of problems. It can help make quick tutorials on the fly easily. Screenshots are also able to be saved as png, jpg, gif, and pdf files. People often learn easily through pictures, rather than words. Snagit easily helps do that . Snagit can also records video and audio on the desktop and comes with some basic editing features. This is very helpful when it comes to webinars, online meetings involving software demonstrations, and quick video tutorials. "Full-featured screen capture and editing software"
Snagit is my "go-to" screen capture and editing software. I like the ability to capture screens in many different ways, from full screen to a specific region or object, with or without menus and cursors. You can crop, annotate, and save your file as an editable Snagit project file, as a .PNG, or one of several other file formats. I like how easy the software is to learn. And it is reasonably priced, a great value. I find the packaged color schemes limiting; I would like the ability to save my own color schemes. I would like the ability to export files to layers for use in Photoshop or Illustrator. Years ago, a colleague, the Documentation Manager for our software group, turned my on to Snagit. She and her staff were able to take quick screenshots of almost anything needed to create professional software documentation. I started using it myself a year or two later. Take advantage of the free trial if you are new to Snagit. Then you will be hooked! I use Snagit to produce slide presentations, to capture marketing survey information, for minor graphics editing and recoloring, to create marketing collateral, and to create training materials, from quick training guides to detailed, step-by-step software training manuals. "Best communications tool I use every day"
It's drop-dead simple to share an idea, instructions, a process, or illustrate a problem with Snagit. I use Snagit several times a day to grab a screenshot or to create a short screen video. The annotation tools are great for making the screenshots even more useful. I use the automatic numbering for steps all the time, when I don't think I can use a larger file (that you get when you create a screen video). I work on a high-resolution screen (4500x3000) so screenshots are gigantic if I don't resize them. If I don't resize them before doing annotations, then when I resize later, the annotations are very small. It has become a regular part of my workflow to use Snagit instead of typing wherever possible. This is one of the best productivity tools I use multiple times a day. It pays for itself in time saved - likely, every day. If you find yourself typing to describe something on a screen, consider using Snagit. You'll save time, and your message will be clearer. I write to colleagues doing quality assurance and Snagit makes it easy to highlight issues. I also write in a customer facing capacity providing ad-hoc instructions. Being able to create screenshots and screen videos is faster and clearer for me, than writing. "Screen Capture on the go "
It is the perfect screen capturing tool I have came across in my life, I would say. It is very easy to use tool and the best feature I like is the text replace feature, where one can easily replace the text from the captured image on the go without even worrying about the font and size. It on its own analyzes this thing. It has no support for Linux platforms, this is one thing that bothers me as I use both operating system - Windows and Ubuntu (Linux based). There are lot of features available, explore all of them. Like the text replace feature, it a pretty good feature. Try it once! Everything on the internet is not always available, we use this tool to scrap information and store in image formats which can later-on be used in presentations. "Not your parents screen capture software"
Fantastic ease of access and capabilities. Provides the ability to perform simple screen and video captures while having the back-end loaded with features to modify, annotate, write, clip, trim, and on and on. I've been using Snagit for numerous revisions and versions, each with a new or improved feature set. Pay to play software and I'm not the first to pay for an upgrade when older versions work well. As a Director of IT and still hands-on, this is an excellent tool that goes beyond the Windows or Mac capture apps. Excellent tool to capture Network settings an anything you can display - just to have a screenshot of the way it was is "priceless" for sure. Anytime we make a change to a Firewall, Switch, copier, cabling, etc. or even a home device, we can see what was working (or not working) before. Countless hours of guessing, failed attempts of frustration have been avoided by using Snagit. I also find it very useful for creating "How To" docs and showing steps with a highlighted, bubble or stamp on what to do. Snagit is so easy to use. I love that you can hightlight items and make notes on the screenshot! My most favorite thing is how you can turn it into a pdf with ease. Then you can upload it into the accounting software that we use. We've gone paperless and in order to keep from printing something out, making notes on it, and scanning it back in makes it one of our most valuable and cost saving tools. I do not have the latest version so I have to press print screen every time. I see most of my coworkers with the most recent version and it seems much better! I would say, pay for it. It's worth it. We use it daily, we copy and paste our screenshots and use them in Slack (our messenger app), email, and Skype for Business. The ease of turning your screenshot with notes in it into a pdf makes it the most valuable to me. We use this as our backup for our Journal Entries daily. When I find errors that have been made, I screenshot them with Snagit, make a note using the arrows and the text boxes and typically I use the highlighter function as well. I really like the fact that you can turn it into a pdf for use in the backup for our journal entries.